I'm Gemma, a writer of young adult historical fiction set mostly in 18th-century England. My unpublished novel Offending Adam was longlisted for the 2016 Lucy Cavendish Fiction Prize. I'm currently working on another YA novel, this one with a mystery element. I've published short fiction and poetry in small press magazines, including Other Poetry , Poetry Nottingham International , Staple and Vintage Script . I'm currently seeking agent representation so, if we're a fit, please get in touch. By day, I'm a technical writer for a software company in Cambridge, UK. I have degrees in history and English. I enjoy reading most kinds of books, watching most kinds of films and eating most kinds of chocolate. I was born in Birmingham, UK, and grew up in the nearby town of Solihull. I studied history at Pembroke College, Cambridge, gaining an M.A. and an M.Phil. After a spell of working in London, I went back to Cambridge to complete a Ph.D. in literature. My thesis was on the historiography of the Imagist poetry movement and the critics who tried to claim and define it at various times. I've also written a journal article and conference papers on members of the movement. After graduating university, I was burned out on history and fell back on other interests until I started to write historical fiction. One of the joys of researching my novels has been rediscovering my love of history. I got interested in computers and the Internet as a hobby. I won a copy of Microsoft FrontPage in an AOL competition, which really dates me. That was clearly so exciting I pursued new media as a career. I work as a technical writer for a company that builds online knowledge management systems. Projects range from full-length user manuals to snippets of microcopy. I'm interested in how technical writers, as advocates for the user, can help improve the general usability of software. In the past, I've worked as an editor for a web directory, a sales assistant at Woolworth's, and a data wrangler for an automotive company. Home is a Victorian terrace in the cathedral city of Ely. My decor is eclectic, which is the cool way of saying nothing matches. Much of the house is filled with books. I have a whole case by or about Richard Aldington, one of the Imagists, and mini collections of vintage Puffins, medieval literature and Arthuriana. (You can browse my book collection on LibraryThing.) 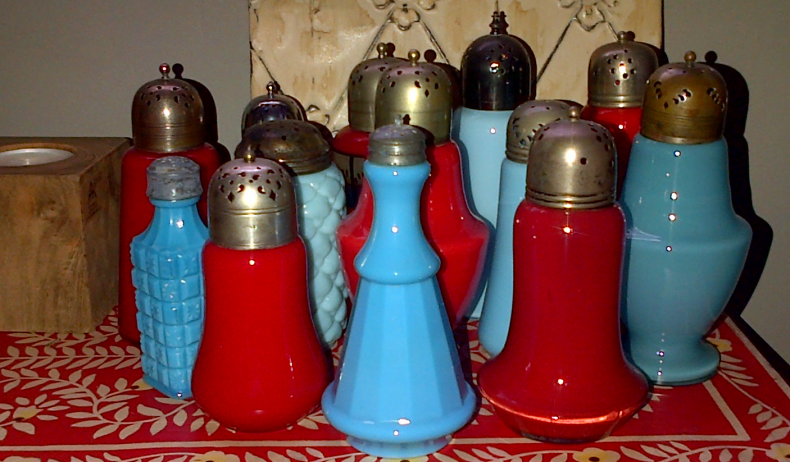 I also collect coloured glass sugar shakers, which cluster in the few spaces in the bookshelves. I watch a lot of films and TV box sets. Recently I've been watching anime from Studio Ghibli and German silents from the 1920s, mostly because I knew little about them. Long-time favourites include Cinema Paradiso , Jesus of Montréal , The Princess Bride , Parting Glances , Godzilla and the original Star Wars trilogy. I'm one of the few people I know who still owns a VCR.